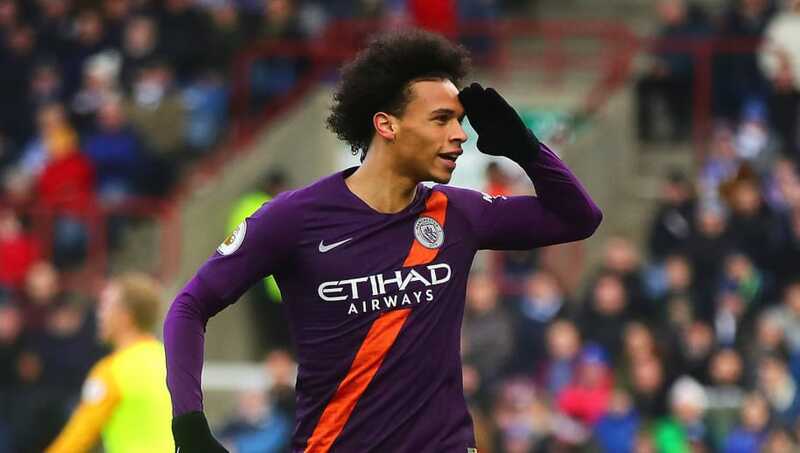 Manchester City beat Huddersfield Town 3-0 in the Premier League on Sunday, as they closed the gap on leaders Liverpool to four points. After a lively opening to the match, the Citizens took the lead shortly after the quarter-hour mark, as Danilo's powerful long-range effort was deflected off the head of Terriers defender Christopher Schindler and beyond the helpless goalkeeper. City doubled their lead early in the second half, as Raheem Sterling powered home a header from point blank range. The visitors were running rampant, and added a third goal soon after, as Leroy Sané finished off a flowing ​City attack with a textbook finish. ​Huddersfield had a string of chances to earn a consolation goal late on, but were unable to find the cutting edge necessary to cause the Citizens any major problems. The Terriers are all but dead and buried, and they showed little sign of having any intention to change this throughout the course of the game. When City's first goal went in, an argument erupted between the Huddersfield defenders, with fingers of blame being pointed left, right and centre. The hosts were still well in the game at half-time, but simply imploded after the break. Evidently, Huddersfield need a new manager in place as soon as possible, with their opportunities to get precious points on the board dwindling fast. It's worth noting that it's only January, and if they were to appoint the right man, it's not entirely impossible for them to haul their way out the bottom three - ala Southampton with Ralph Hasenhüttl. Player Ratings: Lössl (6); Smith (5), Schindler (6), Kongolo (5), Löwe (5); Bacuna (), Hogg (6), Puncheon (4), Kachunga (6), Mbenza (5); Diakhaby (5). In truth, it was a miserable display from the whole Terriers side, but Schindler - bar his unfortunate deflection to gift Danilo a goal - made sure his team weren't embarrassed too gravely, with a relatively composed performance. The German ace was his side's stand-out performer last season, and hopefully he'll flourish again under new management. At fault for Sané's goal and inept going forward, it was a day to forget for the Crystal Palace loanee. With City looking distinctly disinterested in the first half, Puncheon - arguably the Terriers' most gifted attacking player - should have looked to take the game by the scruff of the neck, but he barely had a look in throughout the ninety minutes. With ​Liverpool beating Crystal Palace in a 4-3 thriller on Saturday afternoon, the pressure was back on Guardiola's side to close the gap at the top of the table. In the first half, perhaps due to their underwhelming opposition, City played as if they were facing Greenock Morton in a pre-season friendly, and looked completely uninterested in scoring again after taking an early lead. With their manager's team talk still clearly ringing in their ears, City looked a changed side after the break, upping the intensity of their game and grabbing a quick fire double. Guardiola was clearly unimpressed with his side's complacency in the first half, but he'll be delighted with their reaction and determination to put their opponents to the sword in the second. Just how on earth did Leroy Sané miss out on a place in Germany's 2018 World Cup squad? The dynamic midfielder was on scintillating form against the Terriers, coming alive in the second half and tearing their defence to shreds. His assist for Sterling's goal was a touch of class, as was his clinical finish a few minutes later. A quiet afternoon for the Argentinean ace, who simply wasn't given the service he needed to cause chaos in the Terriers' penalty. Of course, he did pop up with a very nice assist, but he was far from the potent attacking force we've seen him be this season. With Gabriel Jesus champing at the bit to play more regularly, the pressure is on ​Agüero to be more consistent. The Terriers will look to bounce back from their dispiriting defeat a week on Tuesday, when they take on Everton at the John Smith Stadium. Needless to say, a win would be a massive boost for the west Yorkshire side, with a tricky away clash against Chelsea following the Toffees' visit. The Citizens are in Carabao Cup semi-final action on Wednesday, when they travel to Burton Albion with a rather healthy 9-0 lead from the first leg. They'll follow this up with an FA Cup clash against Burnley next Saturday, as they continue to battle on in four competitions.